Today felt like spring. I went swimming for the first time since last fall, and my muscles feel a little tired. The cherry blossom trees in Washington DC are in bloom. I haven't seen them yet, but like a million other people, I'll probably go tomorrow. Ceviche is eaten throughout Central and South America. It is supposed to be made with raw seafood cured in lemon or lime juice. Wikipedia says it originated in Peru. 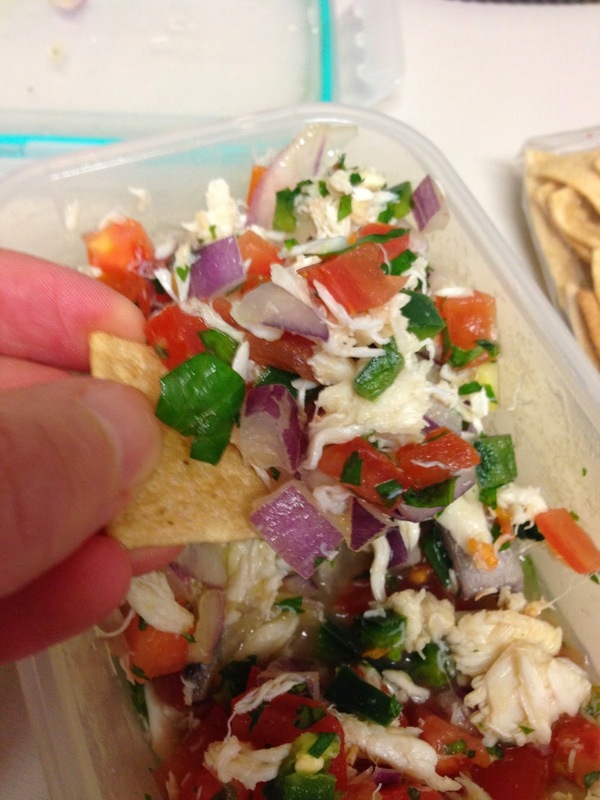 Wikipedia also said ceviche is traditionally eaten with sweet potato, lettuce, corn, avocado or plantain. I did not. I ate it with lentil chips. They weird, but I enjoyed them. They were much healthier than tortilla chips. The recipe came from Allrecipes. Everyone loved it. They called for serrano peppers, but I used jalapenos. 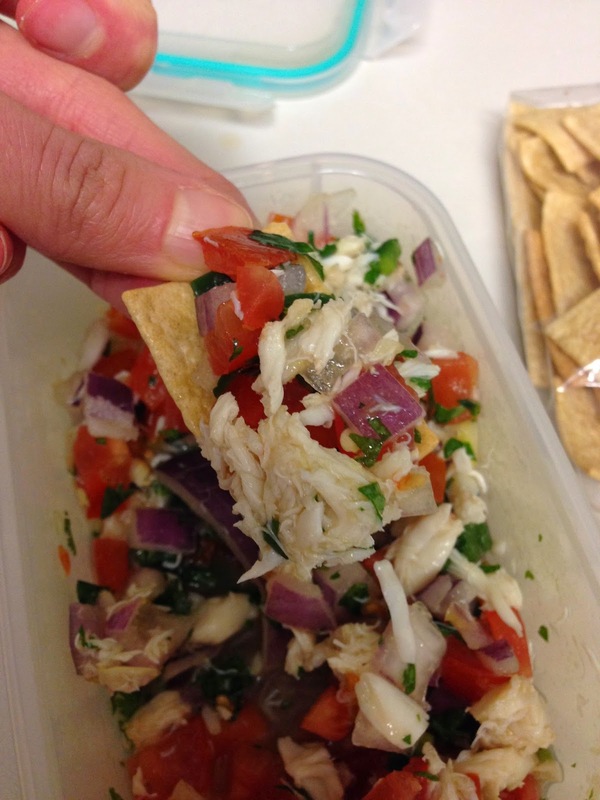 The ingredients are 8 ounces crab meat, 4 small tomatos, 1 red onion, 1/2 bunch cilantro, 2 limes, 2 jalapeno peppers, 1 tablespoon olive oil, and salt. I chopped up the tomatoes, cilantro, and red onion. I chopped up the jalapenos. I added the cooked crab meat. 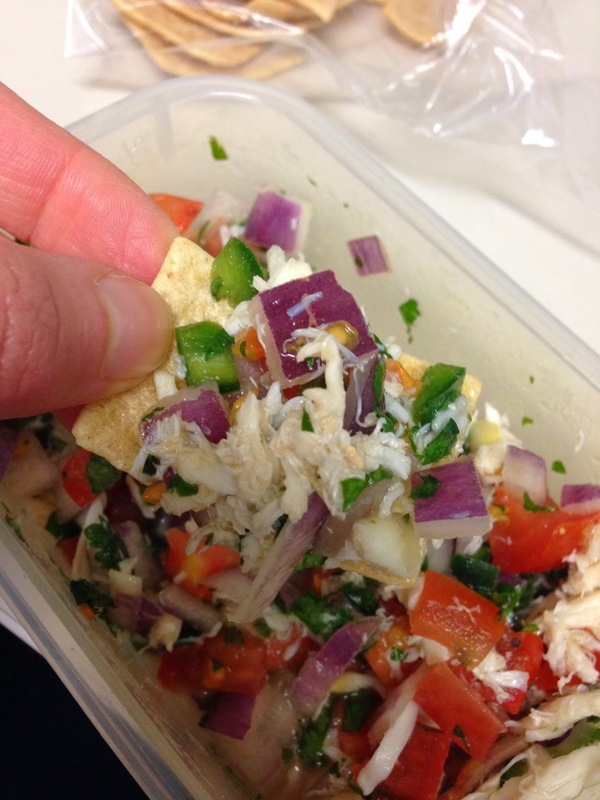 The original recipe called for imitation, but I used real crab meat. I added the lime juice, olive oil, and salt. I stirred everything up. These was exquisite. A little spice but not overpowering. The original recipe is really highly rated. It was fresh and light. My one complaint is that the heat kind of overpowers the crab meat. Given that crab is a tad expensive, it was sad that its flavor was lost. It would have been wise to use imitation. Despite that complaint, it was mouthwatering.